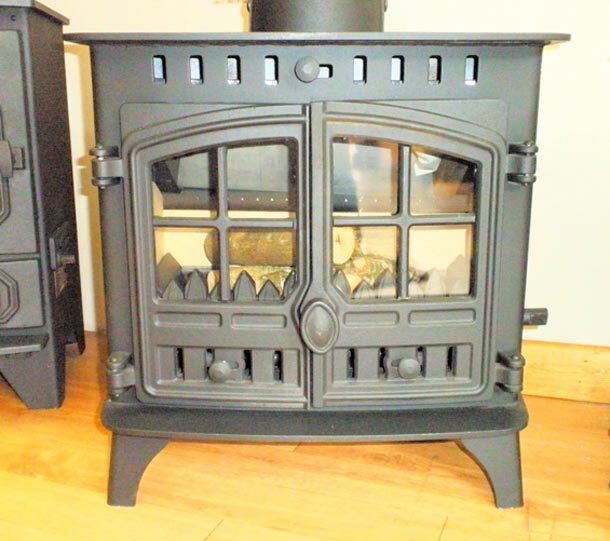 Whichever Hunter stove you choose, you have a number of options to make it perfect for your interior. Every stove is made of 5mm steel; various colours are available, plain black to Forest Green with metallic tint, Cloudy Blue with metallic tint. The larger models are available with a single door or double door. Double door also come with removable window crosses. Most models have a matching canopy which can be added to your purchase.. The Hunter stove is Multi fuel which means you can burn wood and most approved manufactured fuels.